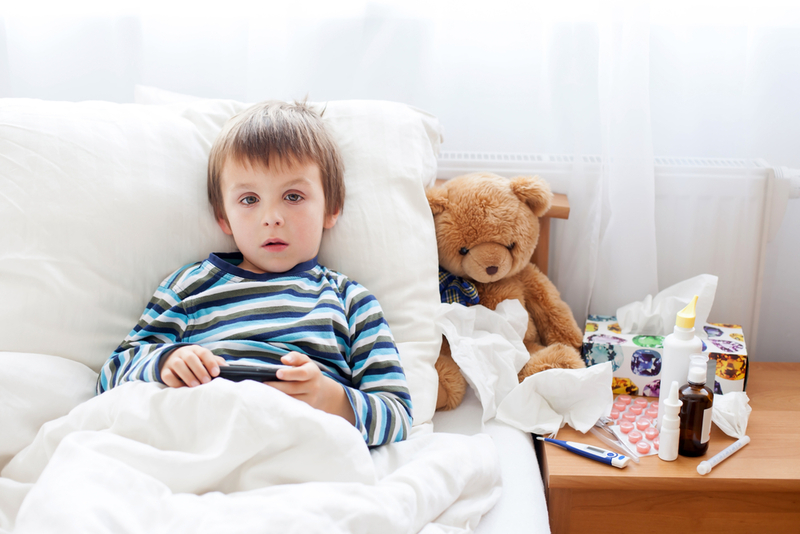 Try as you might to keep your kiddos healthy, sometimes sick days happen. If your child is suffering from a serious illness, the day is most likely spent in bed sleeping, but that isn’t always the case. Your child might be suffering from a more minor illness such as diarrhea, and those sick days require a bit more entertainment. It’s good to be prepared and have a list of sick day activities on hand. Here are our top 10 fun yet restful activities to keep everyone at home relaxed, rested and just busy enough! What’s better than an opportunity to curl up with your favorite books? With an entire day free, you can leisurely make your way through those books you haven’t touched yet, or dig up old favorites. Sick days mean it’s time to get creative! Whether you love sock puppets and a puppet show, magnets on a cookie sheet or playdough and cookie cutters, have art supplies on hand for those unexpected sick days. Kids love camping, so bring camping to your living room! Get out extra sheets, pull up some chairs and make a big tent or fort to curl up in together. If you’re really feeling ambitious, set up an actual tent for hours of entertainment! We highly suggest combining camping at home with reading books – so cozy! Finding mellow, relaxing games for sick days is important, as the number one priority is that your child rest and recover. Games like “I Spy” and “20 Questions” are a great way to stimulate your child’s creativity and imagination from the comfort of your couch. Perhaps this is a project you’ve been meaning to dedicate some time to, so why not get your child involved? Collect all of the photos you’ve been wanting to put into an album or scrapbook and take time to enjoy the memories together. Having your kid help with dinner on a busy weeknight is often more stressful than helpful, so take advantage of a slower sick day to cook together. Make a hearty soup to stay nourished and give your child’s body the nutrition it needs to feel better. Have fun with magazines, newspapers, and any other supplies you might have laying around to make a sick day collage. Don’t forget the glitter glue! Particularly if you have toddlers, there’s nothing like a sticker book to take up some sick day hours! These are a must-have for when you need a fun and mellow activity. Sometimes, a little flexibility with screen time is needed on sick days. Consider a nature documentary or show your child some of the movies you loved most as a kid. It’s best to find something that both you and your kiddo can enjoy. A sick day is a perfect time for card games – whether you’re breaking out old favorites or learning new games. Uno, Go Fish and Memory are all fun and relaxing options. In addition to filling your sick day with fun and restful activities, be sure you keep your child well hydrated, especially if they are experiencing diarrhea. You can also keep DiaResQ for children on hand for quick and safe relief from diarrhea. DiaResQ provides beneficial nutrients that work with your child’s body to help rapidly restore normal function and relieve diarrhea. It’s made from safe, naturally derived ingredients, resolves most cases of pediatric diarrhea in a single day and is safe for children as young as one year. 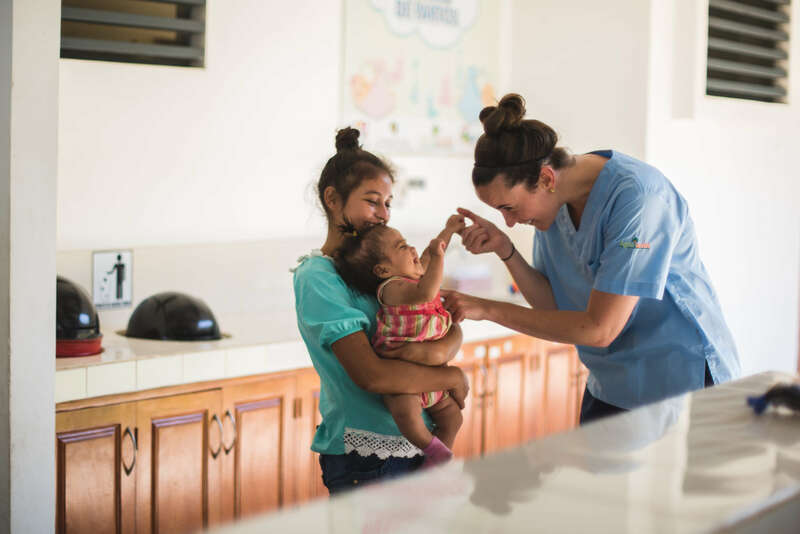 While a child falling ill can certainly be an inconvenience, it can also be a special time to cuddle up and put the brakes on daily routines and stressors. Choose from this list of sick day activities and take advantage of the unexpected quality time together.